I write a lot of articles about how blood pressure medications work and get many comments and emails from readers about them. But can you guess what is by far and away the #1 most common question I get asked? 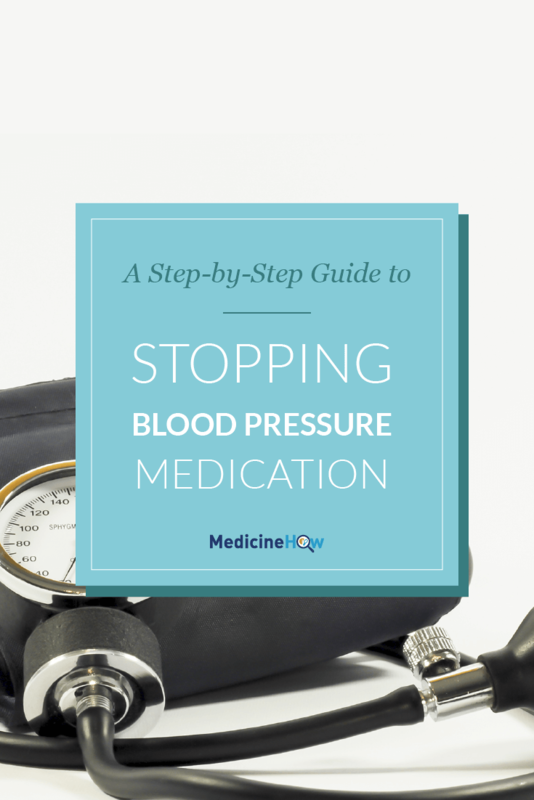 It’s about how to stop taking blood pressure medication. How can I get off blood pressure medication? And, when I think about it, I can understand why so many people are asking the same question. It can be a little daunting when you’re told that you need to take a drug every day, for as long as you live. The long list of side effects on the information leaflet inside the box is enough to shake some fear into anyone. There is an innate doubt about whether we really need to take a synthetic drug to keep our body healthy. Although I have to admit, the frequency of this question surprised me at first. Why? Well, maybe I gave humanity less credit than we deserve. I was under the impression that laziness was a driving factor in wanting to take a medication: it’s easier to take a pill than it is to make actual changes to the way you live. It turns out I was wrong. The fear of taking an unknown pill each day is often greater than the effort needed to make real changes to your lifestyle. But that doesn’t make it easy. In order to have the same effect in reducing your heart health risk, there need to be some dramatic changes to the way you live. 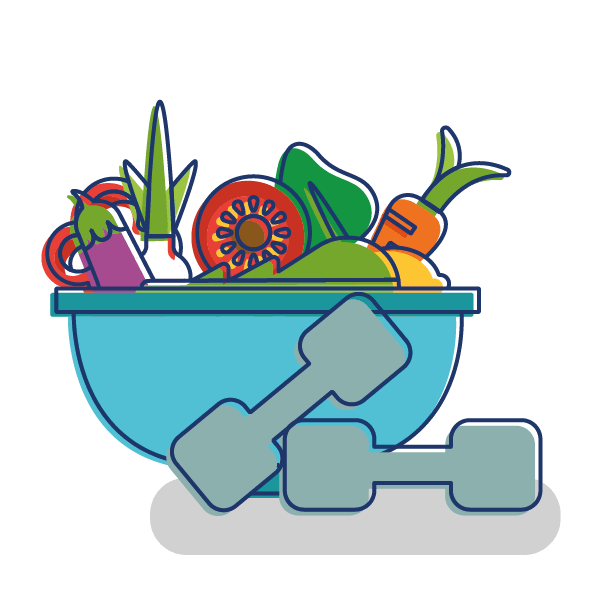 Depending on your current diet and lifestyle, changing these habits can be pretty uphill work. That said, it’s worth it if you’re willing to put the work in. 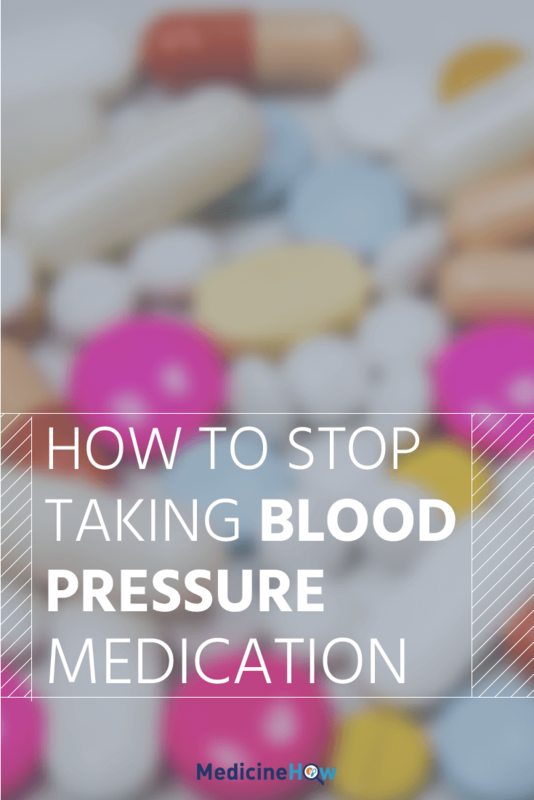 So how can you stop taking blood pressure medication? Your need for any medication – blood pressure medications included – depends on your personal health situation. Even with the best diet and lifestyle changes, some people will still need some medications to help protect their heart. The best way to know what is best for you is to talk to your doctor. It’s important for you to be honest with them and tell them that you’re willing to put in the effort to make changes to your lifestyle to reduce your reliance on medication. 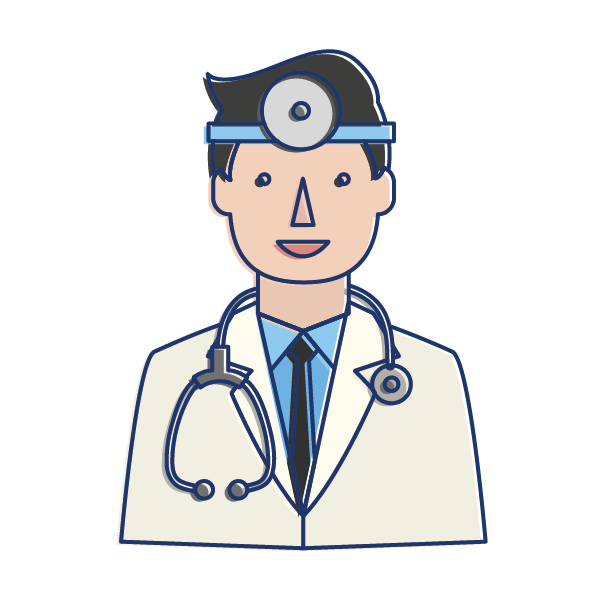 Most doctors will be happy to have a patient who is already at the stage of wanting to make changes and be glad to help you on your quest to become medication free. The next step is to plan out what you are going to do to taper off the blood pressure medication. 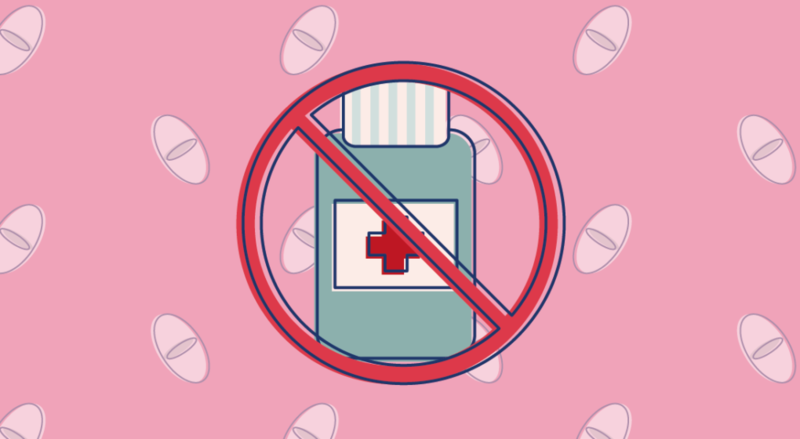 It’s not a good idea to stop taking the medication all at once cold turkey – in fact, this can actually make things worse. 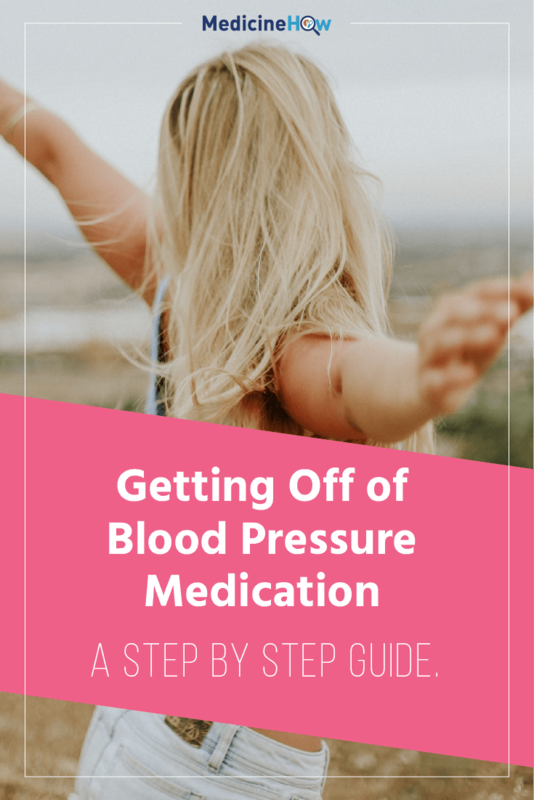 If you’ve been taking the medication for a while, your body starts to adjust to taking the drug and you can get rebound hypertension (even higher blood pressure than when you first started the drug). Instead, it’s best to slowly reduce the dose so that your body has time to readjust until you can eventually stop taking it all together. It’s not a problem if it takes you a few months, as long as you are moving in the right direction. The aim should be to get your blood pressure below 120/80 mmHg, as blood pressure above this level is known to put more stress on your heart. If you’d like more ideas on how to manage your blood pressure without medications, you can read this article about Ways to Protect Your Heart. If you’re interested in natural remedies to help lower your blood pressure, you might like to check out 49 Evidence-Based Herbal Remedies to Treat Hypertension Naturally. Ideally, the changes that you are making to your diet and lifestyle will be having a positive effect on your heart and blood vessels. Over time, your blood pressure should start to decrease as a result of the changes you’re putting into action. But this doesn’t happen overnight. In fact, it can take a couple of months for you to really start seeing changes in your blood pressure. The best thing to do is to keep track of your blood pressure. If you have a blood pressure machine at home, it can be useful to record your blood pressure reading in a table each day – this is also very useful to see your progress and show your doctor when looking to change the dose of medications. Alternatively, you can visit your local pharmacy to test your blood pressure (usually for free) several times a week to keep track of changes. At this point, 4-8 weeks after you’ve started to make some positive changes, you should start noticing some results in your blood pressure readings as they start to go down. This is when you can start to reduce the dose of your blood pressure medication, with the help your doctor. I’d suggest talking to your doctor about reducing the dose of your medication when your blood pressure is consistently – several readings from different days in a row – below 130/90 mmHg. This level still isn’t perfect (less than 120/80 mmHg is our long-term aim) but it is low enough to start to reduce the dose slightly with continued changes to your diet and lifestyle. If there is a lower dose of the medication available, your doctor can make a prescription of the lower dose. If you are already taking the lowest dose, you can reduce the dose to half a tablet each day. 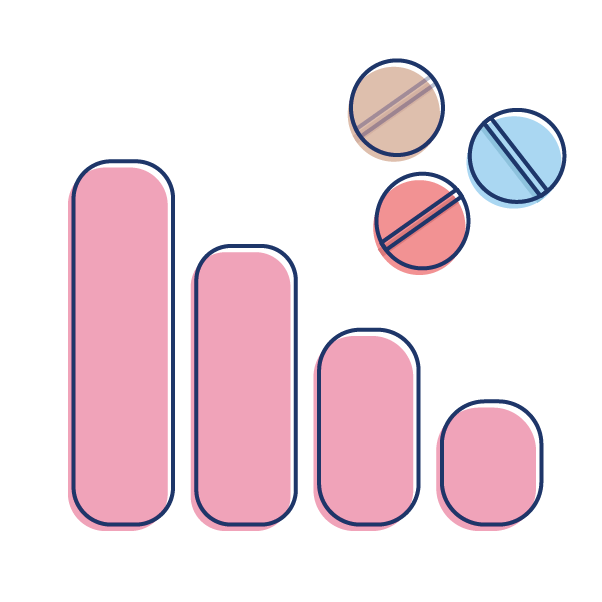 Eventually, you can take half a tablet each second day and, finally, stop taking the medication altogether. The changes that you make to manage your blood pressure should be for the long term – it’s not just a quick fix. They should become a part of your new lifestyle and a reason that your heart and cardiovascular system are healthy. This isn’t easy and is only going to work if you are committed to the changes and truly want to start living in a healthier way that is better for your heart. If possible, it’s really important for you to find a group of other people going through a similar experience so that you can help and support each other on your journey. You may be interested in joining our Heart Health Heroes program, which brings people who want to improve their heart health together so that you can learn more and support each other. In the program we go into more detail about natural ways to look after your heart and how to taper off medications. You can find out more by clicking the button below.